Chronic depression as an entrepreneur has plagued me. I am glad to see CEO’s such as Logan Green, the CEO of Lyft, speak up about this. As a business owner, there are uncertainties that can bring along anxiety and depression. If we don’t talk about these things amongst us, we alienate many of us who are suffering in silence. Samia Gore is an author, wellness expert, CEO and founder of the wellness and supplement company, BODY Complete Rx. 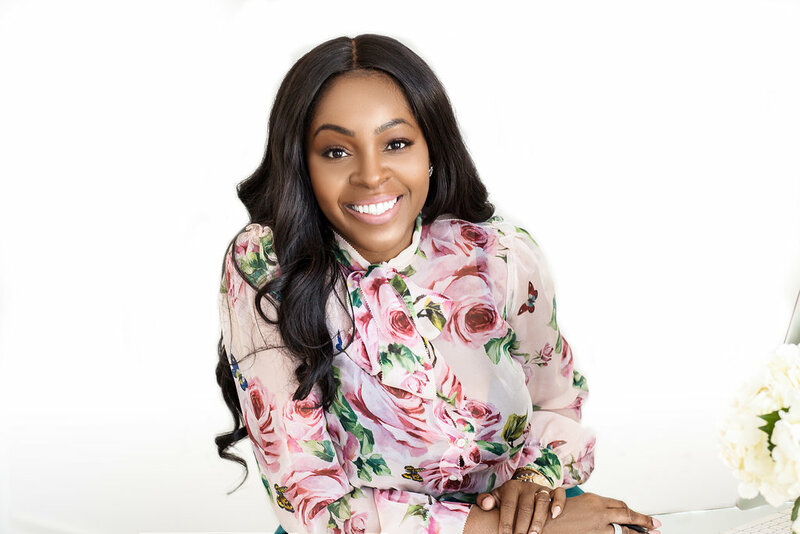 Gore, a mother to four, dove into an entrepreneurship role by developing an online presence on Instagram — where her following rapidly grew to over 150k followers. Throughout the course of this social recognition, she acquired a greater understanding of how to live a healthy lifestyle. This lead Samia to embark on the creation of her newest entry into the health and wellness space, BODY Complete Rx (BCRx), a supplement company that addresses weight loss and overall health. Although BCRx is relatively new, in just 2 years on the market BCRx has garnered over $1.5 Million dollars in sales, making Samia the first African American female CEO to break significant ground in this male-dominated, highly competitive, supplement industry. I have always had a passion for self-care and wellness. I’ve always been that girl who loved to pamper herself. However, my start as the CEO of a wellness brand has been a bit non-traditional. In 2014, after having my fourth child and gaining a considerable amount of weight, I felt at my lowest. I let myself become less of a priority and my health was suffering. After setting out on a weight loss journey, publicly documenting it and losing nearly 80 lbs, I began to publicly document my mommy makeover journey which grew a following of nearly 150k followers on Instagram. When I introduced organic ingredients that I was using to help aid in my weight management as well as an overall healthy lifestyle, this same audience took notice to the benefits that I was experiencing and from that demand BODY Complete Rx was born. After having our products sold out for a number of weeks, one day in March 2018 we restocked our inventory to an amazing $200,000 in sales in 10 minutes, closing the day with nearly $250,000 in revenue without any discounts offered on products. To date this has been our largest profit day. Depression. Chronic depression as an entrepreneur has plagued me. I am glad to see CEO’s such as Logan Green, the CEO of Lyft, speak up about this. As a business owner, there are uncertainties that can bring along anxiety and depression. If we don’t talk about these things amongst us, we alienate many of us who are suffering in silence. I am an open book on my social platforms and have shared these experiences with my followers. I think it offers for transparency and relatability which also in turn builds loyalty and trust in you and your brand. Don’t be afraid to speak up! I like to say that I am an “adaptive” leader as I don’t feel one style of leadership fits all and depending on who I am working with, I could be authoritative or laissez-faire. I know how to turn my styles on and off and it has worked for me thus far. My philosophy is that a good leader is a leader who knows how to lead from behind, giving their employees enough space to grow and make decisions for themselves but being ready to catch them if they fall. I started by business with roughly 5,000 of my own savings but I credit my entrepreneurial spirit to one of my best friends who also happens to be an entrepreneur herself, Merah Vodianova. I met her through social media in 2015 and was struck by her creativity, ingenuity, and entrepreneurial spirit. It was her who helped me write my first book, build my first website, and launch my first product line. Not at all really. I am really very passionate about practicing self-care and my brands are a demonstration of that. I am a wife and mom and understand how “life” can get in the way of pursuing our best selves, so I created this product line (BCRx) to help address those “life” issues such as being fatigued , struggling with weight loss, looking for organic and natural aids for anxiety and depression management. I have personally battled all of these things which is why I am so passionate about my brand BCRx as it addresses all of these issues and ailments in a safe and natural non-addictive way. Yes. The early part of 2018 was actually the best part of my professional year but personally it was not so great. Because my business grew at a rapid speed, it required and still requires, a lot of my attention which causes my hubby and children to get less time with me and vice-versa. This past summer I planned a big family vacation for 2 weeks with the goal it being a time to unwind and turn my phone and laptop off….let’s just say that lasted maybe 10 hours. As a business owner, it is very important to find balance or you will get burned out, or worse, give up. Because of this, I spent the later half of 2018 implementing better balance in my life. Schedule time for self-care — It can be very stressful running a business, and oftentimes the business owner takes a backseat. This may be good in the beginning as you are thriving, but if you are not taking care of yourself mentally, spiritually, and physically, there will come a day where you will be burned out. Don’t wait for that day. Incorporate mandatory self-care activities throughout your day or week. Whether it be meditation time in the morning, lunch break reading, exercise, a date with friends…whatever it is that makes you happy and fulfills you, make sure you make time to do that thing just as you make time for phone calls and emails. Prioritize your time by having a schedule and adhering to it as much as possible. Turn the gadgets off at home — At a certain time most things can just wait until the morning. What can you do about it at 10 pm? Most times, nothing. Establish boundaries — As a business owner you cannot and should not be accessible to everyone. Establishing boundaries with your staff and colleagues is key. Utilize your resources! There are so many technological advances and ways to make our lives easier. Instead of driving to that meeting, how about a Skype? Freeing up time within your day by taking advantage of your resources is a great way to have more time for your personal life. Our customers are really what drives me and gives me the greatest sense of pride. Every message or review that lets us know how BCRx has helped change his/her life keeps me going everyday. It feels so good knowing that I am literally doing what I love and helping others make positive changes in their lives. I would want to focus on a movement that helps people understand the things that they say behind a screen regarding other people’s bodies matter. Our bodies are our temples and we can’t escape them. You’re “she’s not cute” or “he’s fat” or “her nose is too big” comments hurt. If you don’t have anything positive to say about someone’s BODY don’t say anything. It’s a certain level of decency some in this world are missing. I wish I could do an anti-body shaming campaign that focuses on that.